Home Tampa Bay Buccaneers Blake Sims signs with Tampa again. Blake Sims signs with Tampa again. 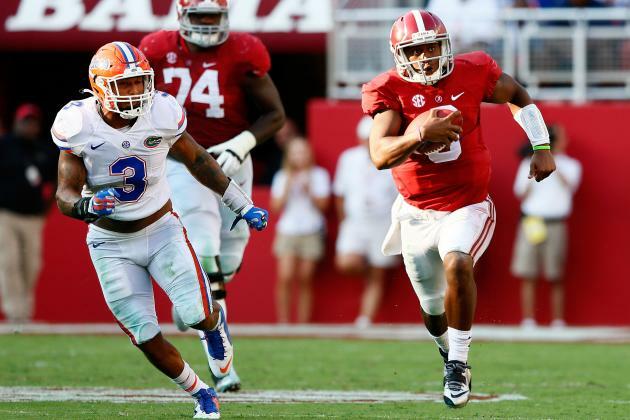 Last week, the Buccaneers signed former Alabama QB Blake Sims to future reserve. The Buccaneers tried signing him the first week of January, however, it was not approved by the NFL and the contract was returned to Tampa. The Buccaneers have yet to state the cause of the NFL’s disapproval of the first contract, just that Blake Sims has re-signed a new contract. Sims interviewed with TMZ prior to the Alabama vs Clemson National Championship game, and during that interviewed Sims stated that he was happy to be a Buc and wants to help his team make it to the Super Bowl. He also made mention to TMZ reporters that he wants everyone to talk about Tampa the same way they talk about Alabama. Sims still owns the single-season record for passing yards (3,487), however, he signed with Tampa as a running back. O.J. Howard puts pen to paper. Previous articleThe Green Bay Packers win a wild game against Dallas. Next articleMike Glennon to become an unrestricted free agent will the Jets pursue him?